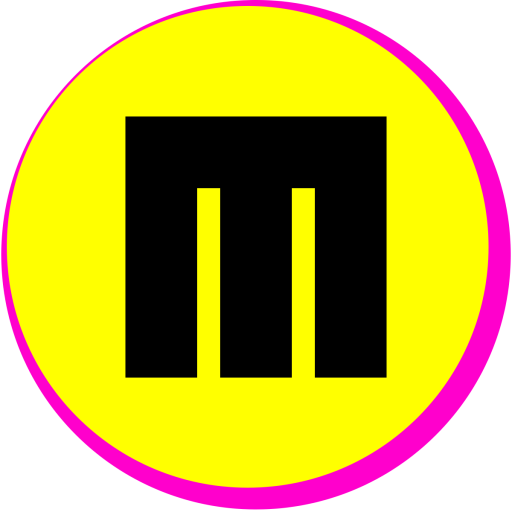 Earn up to 150 MythPoints. 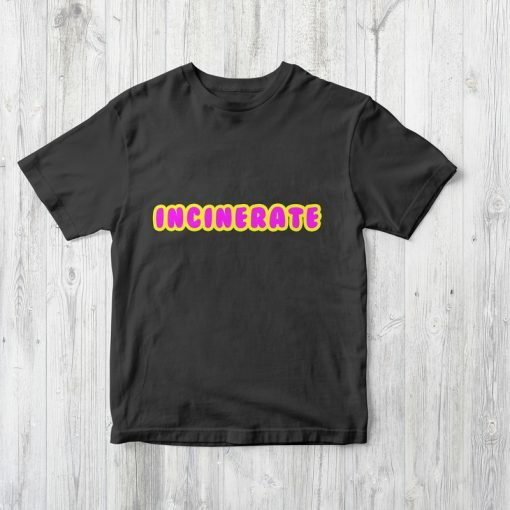 This is a black t-shirt with the word INCINERATE in bright pink and yellow bubble writing. Perfect attire for business meetings and funerals. 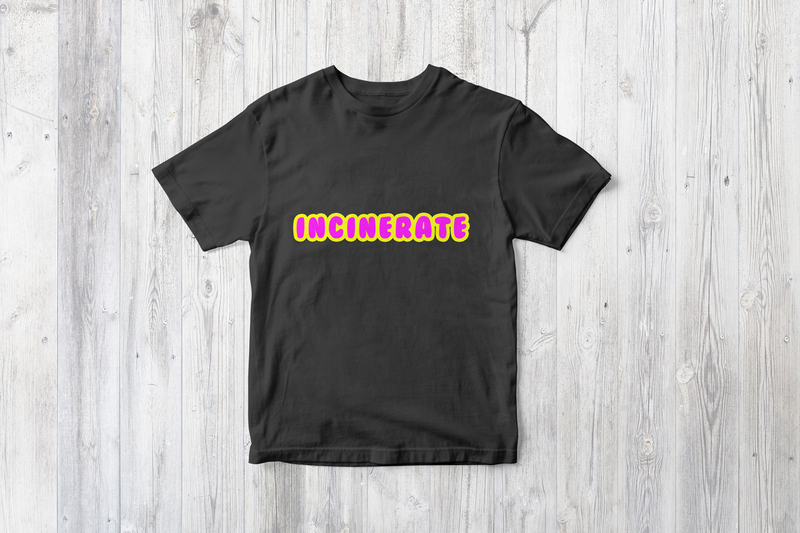 Finest quality direct to garment printing with environmentally friendly inks onto premium Gildan 64000 Softstyle unisex t-shirt. 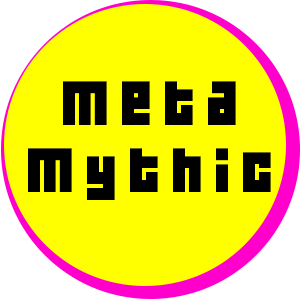 A Metamythic exclusive design. So if you see it for sale elsewhere let me know- they will be punished and you'll get a reward. Shipping takes about 3-5 days in the US, 5-10 days for Europe.